In this 3-part vendor series, you've learned how to maximize your time and money at the events and about the four ways to win at those events, too. Now, it's time to find the shows, book them, and get the leads to grow your business's visibility, income, and more. In this final post of the series, I'm going to do what no one else has done before. You could skip past this section and down to the next 2 with all the direct links. ...but I don't recommend that. You know the value of being able to find things for yourself. So, I'm going to give you the tools to find local events. These are the shows that event sharing sites may not have knowledge of. FIRST POINT: Google is your friend [most of the time]. Take advantage of the somewhat one-sided relationship. At my first vendor event, I was a total newbie to my business with zero connections to get in on any new events while they were still accepting vendors. I didn't know how other entrepreneurs found their shows, and, at the time, fellow direct sellers in the same business took their sources to the grave. STEP ONE: Use keyword variations. For example, "vendor events near me" is too generic. As you can see from the search screen shot below that "vendor events near [your city/county/zip code]" gives you immense results. In this case, 25-million results. For some, that might be a cha-ching! moment. But for you and me that's a gasp! Flooded market much? moment. When you get more specific, you'll gather more information on what you're really looking for. Let Google weed out the scrolling of multiple pages for you. Give Google what it wants in the search bar and it'll treat you right. STEP TWO: Ask yourself two questions to narrow down your keyword decision. What types of events does your industry warrant? (Type of show) You wouldn't want to be the tractor salesperson in the wedding expo, so just be aware of your industry and the likeliness of getting the leads you need from the show. How far are you willing to travel for the event? (Radius of location search) Consider that people attending the event are generally going to be coming from surrounding areas encompassing a larger span that you might anticipate. If you're in a traveling business, like giving facials or massages, traveling over 100 miles with the potential of earning no profit may not be worth it. "trade shows/tradeshows/vendor events in [your city/county/surrounding cities/counties]"
"[your city] chamber of commerce events"
"chamber of commerce events in [your city]"
"no white tent shows in [your city/county/surrounding cities/counties]"
"no white tent events in [your city/county/surrounding cities/counties]"
"no white tent vendor shows/events in [your city/county/surrounding cities/counties]"
"fairs/festivals in [your city/county/surrounding cities/counties]"
"craft fairs in [your city/county/surrounding cities/counties]"
"wedding events in [your city/county/surrounding cities/counties]"
"bridal events in [your city/county/surrounding cities/counties]"
"church events/fairs/festivals in [your city/county/surrounding cities/counties]"
There are several networking opportunities you can take advantage of. I'll just briefly list them here but you can check out the detailed breakdown in a future post. I never recommend using networking groups to troll and scavenge for your next sale or team member. Use them to expand the recognition of your brand and to form new professional relationships. Here's what you've been waiting for. 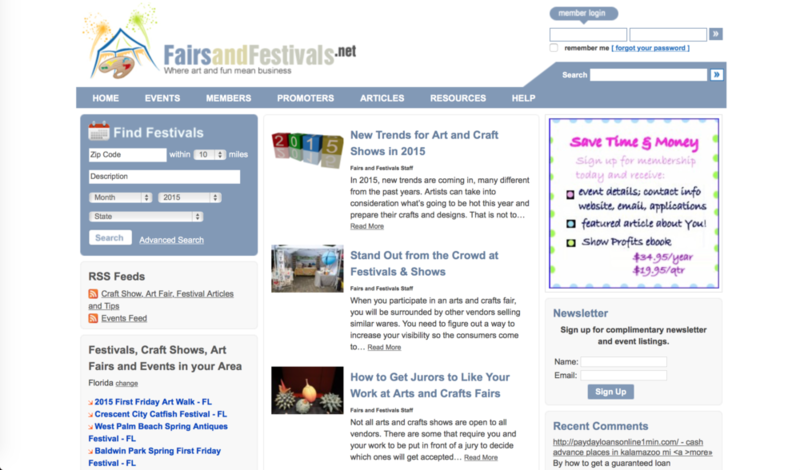 Fairs and Festivals is a pretty good resource for finding vendor shows. Input your zip code, the miles radius you're willing to travel, the month you're shooting for — which means you may end up having to input the information multiple times to get several different months' results — and your state. You can pay to become a member, or you can copy the event title, post it in a Google Search and do your digging to connect with the event organizer that way. The benefits of membership far outweigh the possible one-time event-finding fix. A somewhat detailed listing agent, Eventful can be used to find events including bridal, concerts, festivals, and more. If the site does not automatically pick up your general location, type in your city or zip code in the Location bar and search. Under the events drop-down menu you can find several prospects that may suit your business, too. Although it's a very outdated-looking website, Expo Database is another option to search for various events with. 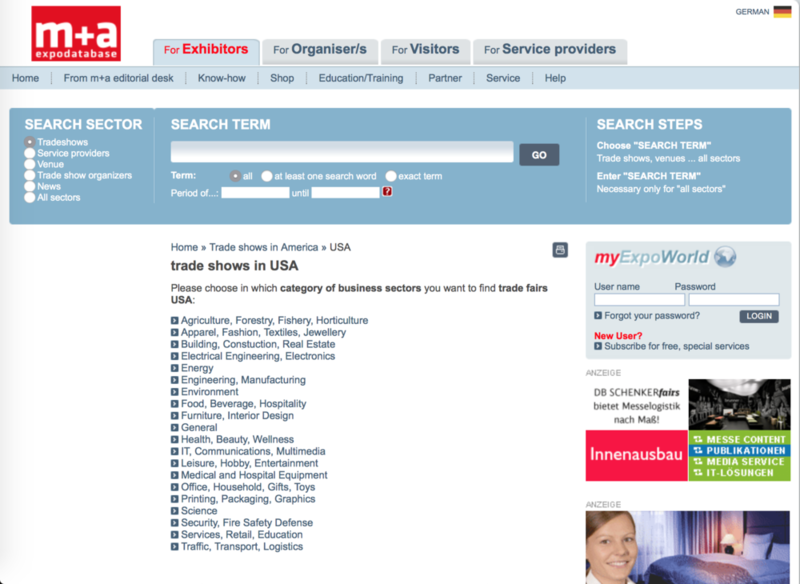 Click on "For Exhibitors", select which type of show you're looking for in the "Search Sector" and within what timeframe. From there you can choose what industries you're looking into to retrieve the lists. Some "business sectors" within your timeframe may show no events. Just keep trying and adjust to another similar industry or extend your time frame. Or both. Find bridal events in most major cities using Wedding Wire. Select a city listed on the following link, then as many shows as you please. Many trunk shows aren't interested in taking on external vendors, however, don't leave anything on the table. I'd contact any one of them you're interested in "partnering" with and see if they'd be willing to take on an additional vendor. You can offer to purchase a gift certificate or simply persuade of the benefit more variety of offers to their attendees with your complementary product/service. Again, I'm beyond excited to have provided this list to you. I want you to go out and kick some serious event-tush here! You are now armed with all the knowledge you need to have the best event ever.